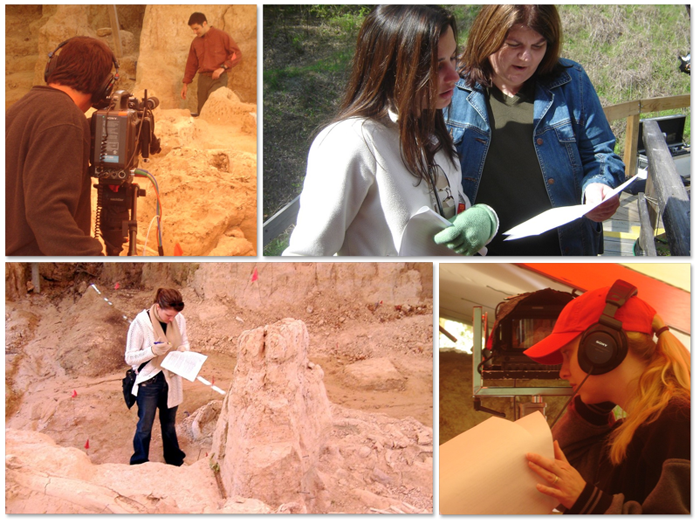 Top left: DP, Allan Westbrook shoots a scene with Jeff Schmidt in the dig site; Joani gives Jessica Denk direction for next scene; Producer, Kristen Cox listens closely to audio to make sure the mysterious hum is completely gone; Rebekah Bass does double duty as script supervisor. Here's one of the QuickTime review files from Catalyst Media used for feedback. This one was the rough draft of where mammoths have been found around the world.